Bennett Thomas serves as a Senior Vice President of Finance and Sustainability with Hersha Hotels & Resorts, a $2.5 billion real estate investment trust which owns and operates 48 high quality upscale, luxury and lifestyle hotels in New York, Washington, DC, Boston, Philadelphia, Miami and select markets on the West Coast. Over the past 11 years with Hersha, his corporate finance responsibilities have included strategic planning, portfolio analysis, financial reporting, investor relations, capital raising, and portfolio sale transactions. Bennett works closely with the Acquisitions, Asset Management and Hotel Operations teams to drive portfolio profitability. He also founded EarthView®, the Company’s triple bottom line focused sustainability platform which has created $65 million of portfolio value and has been nationally recognized by the National Association of Real Estate Investment Trusts (NAREIT) as a four-time winner of their Leader in the Light Award for the Lodging & Resorts sector. Previously, he was a Senior Manager with Medco, a Fortune 50 company, where he focused on mergers & acquisitions and new business ventures. 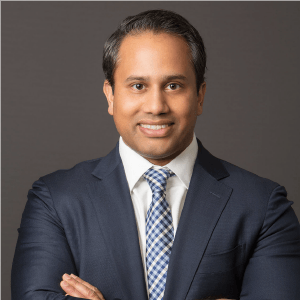 Prior to Medco, he was a Fund Manager with BR Ventures, a seed-stage venture capital fund affiliated with Cornell University and a Senior Technology Consultant with Ernst & Young. Bennett is an angel investor focused on the sustainability and travel sectors. He serves as an Advisory Board Member of the Cornell Institute for Healthy Futures, a member of Cornell Hotel School’s Sustainability Roundtable, and as an Executive Committee member for NAREIT’s sustainability council. Bennett received his B.S. in Civil-Environmental Engineering with honors from Virginia Tech and graduated as a Park Leadership Fellow from the Johnson MBA program at Cornell University.